The Unity Brass Festival is four days of music and fellowship, practice and performance, learning and sharing. 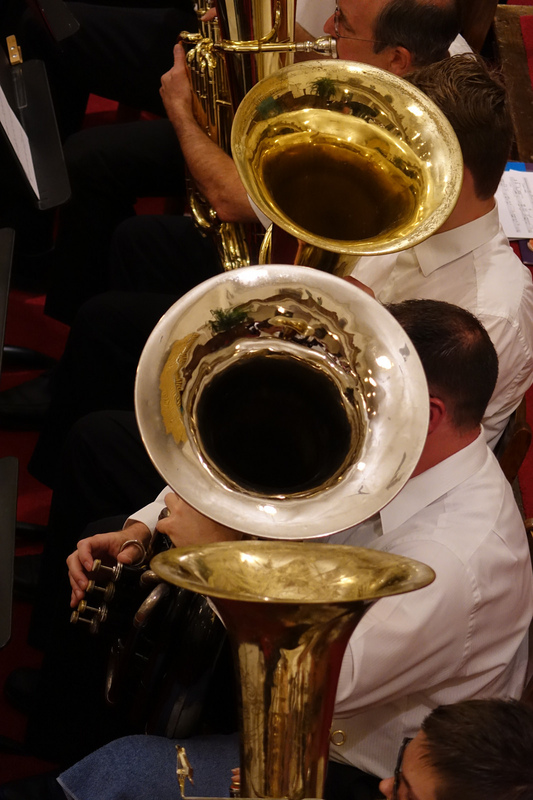 Massed Brass Choir is the large ensemble open to all brass players. We all assemble on the stage of Wait Chapel on the campus of Wake Forest University. The rehearsals will all be here and the final concert will take place at 4:00pm on Sunday afternoon. Music booklets will be provided for each instrument and much of the music will be available in pdf format on the website or emailed to participants. You are welcome to bring multiple instruments and play them in smaller ensembles, preludes, etc. However, for the Massed Brass Choir, please indicate one instrument, and indicate the clef and key, so we are sure to have the right part printed for you. Sunday morning worship will offer a variety of options. There will be a simple service in Wait Chapel that will involve brass playing and singing. 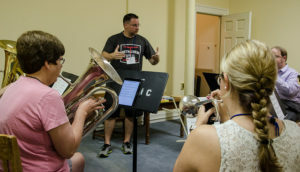 Area Moravian congregations will host brass ensembles from the Festival as part of worship, with individual directors organizing the specific arrangements with each church. Sign Up will be available at check-in or by email ahead of time. More information and specifics will be sent to registrants. You are welcome to bring multiple instruments and play them for Sunday worship. On Saturday morning, there are several opportunities to play in smaller ensembles at various locations around the city. This will involve the green and blue chorale books and some supplemental printed music provided. At this point, we do not anticipate the need for special rehearsals of these groups. Groups may wish to stick together or mix with other players. 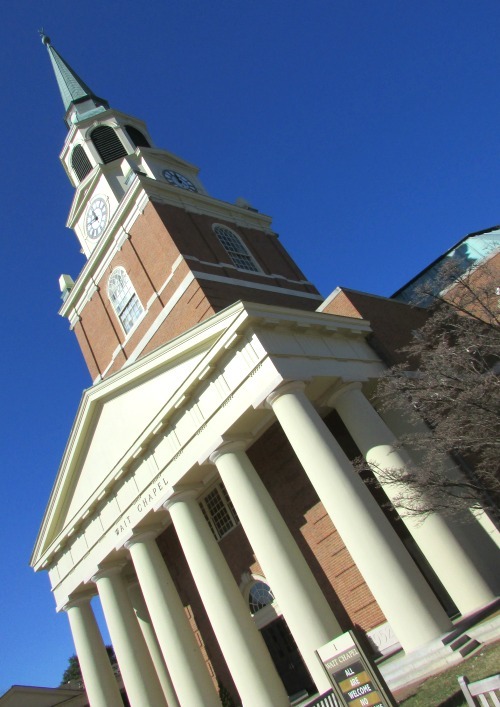 Wait Chapel, on the campus of Wake Forest University, is the venue for rehearsals each day and the final performance of the Massed Brass Choir on Sunday afternoon at 4:00pm. 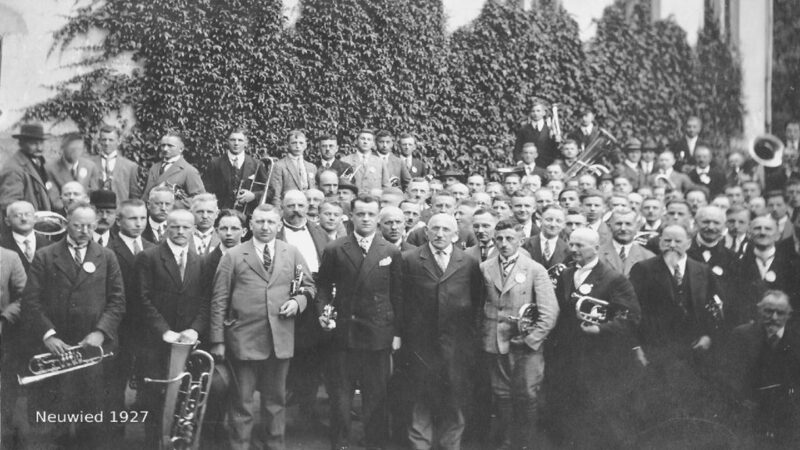 The 3rd Moravian Unity Brass Festival will strengthen interpersonal bonds within the Worldwide Moravian Unity; will draw the participants closer in Christian community; will affirm the work and gifts of players, leaders and organizers; will nurture the musical growth of individuals of all levels, and the musical development of ensembles; will improve and increase the repertoire for worshipful brass music and prove its continuing relevance throughout the Worldwide Moravian Church. 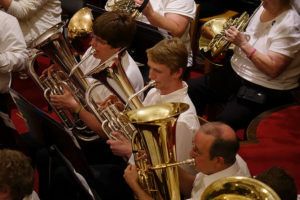 The 3rd Moravian Unity Brass Festival is an international event that connects the Worldwide Unity (Unitas Fratrum) through musical collaboration, builds friendships and community, and celebrates oneness in Christ. The 3rd Festival will assemble musicians of North America together with those from throughout the Moravian provinces and mission areas, providing travel assistance, help with accommodations, and hospitality. The format is four days of rehearsals, activities, and ensemble performance with a final concert on Sunday afternoon. The massed brass ensemble will play new arrangements of sacred music together; smaller ensembles will play at various locations in Winston-Salem on Saturday and in area churches for worship on Sunday morning. 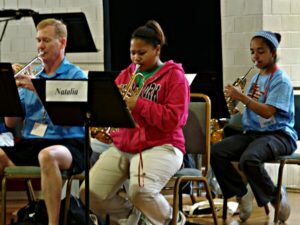 Welcoming all ages and all levels, the Festival provides opportunities to improve musicality, skills, and ensemble. 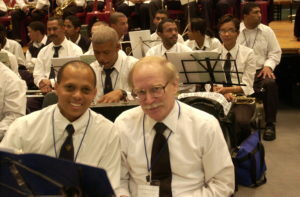 The Festival builds for the future by teaching, leading and encouraging brass musicians, arrangers and composers. The 3rd Moravian Unity Brass Festival convenes brass musicians to play and learn in Christian fellowship and share brass music with others for the Glory of God. Please select the first item, and your housing option, if needed, and then click on “Register Now” above, to begin your sign up for the Unity Brass Festival. All registrants participate in the Massed Brass Ensemble, plus, you will have a choice of smaller ensemble to play with on Saturday (optional). Sign ups for smaller ensembles will occur at a later time. Housing must be selected on this page prior to moving on. If you secure housing on the Wake Forest Campus, it includes three or four nights (July 19, 20, 21 and 22) Start date is Thursday night with departure on Sunday, July 22 or Monday, July 23. Housing is in the Polo Residence Hall. There are “apartments” and “suites.” Apartments have a few stairs from the living area to the bedrooms. If you indicate that you need a room without stairs, you will be assigned a suite. Polo Residence Hall is on the campus of Wake Forest Univ. – about 350 steps from Wait Chapel. Parking is between the two buildings. It is about 100 steps to Wait Chapel door from parking; about 150 steps to Polo Hall from parking. Linens are provided and MEAL PLAN is automatically included for each resident. Day Participants do not need to purchase a meal plan. Campus Dining will be open daily and accepts cash/cards for individual meals. Individuals are responsible for keys, cards, and damage. The Unity Brass Festival invites brass musicians of all levels, from beginner to director (Moravian and non-Moravian). All ages learn, rehearse and play together during the 4-day event. All are invited to come and be a part of this exciting week of musical growth, spiritual nourishment, and joy-filled fellowship. The Unity Brass Festival will be based at Wait Chapel (#7 on map) at the center of the Reynolda Campus of Wake Forest University. 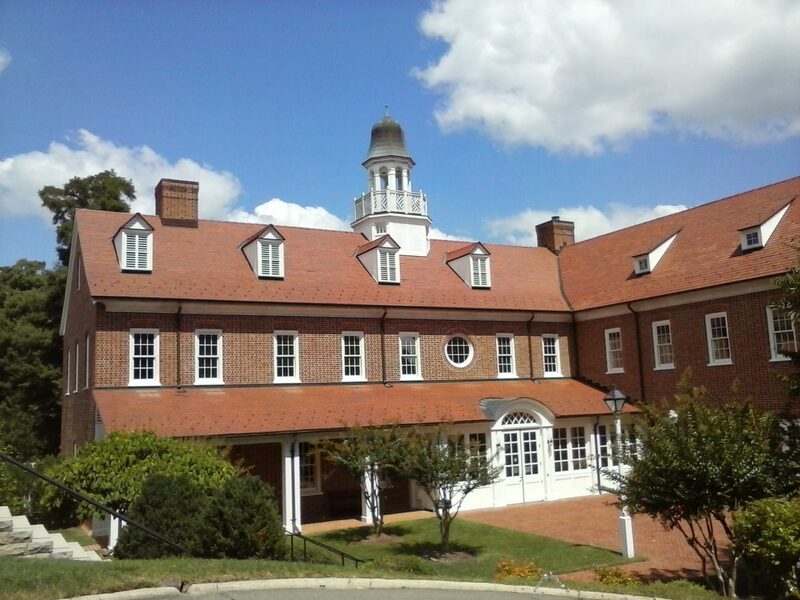 Wake Forest University has no responsibility for the conduct of any program or activity offered by the Moravian Music Foundation Inc. Wake Forest functions only as a site for the conference and will provide many of the services specified for the conference, such as facilities, food and housing. The University assumes no responsibility for any damage, injury, loss to any person or property, from any cause whatsoever, except to the extent such liability results from the sole negligence of Wake Forest. Wait Chapel on the campus of Wake Forest University. Parking is free (obey signage). Concerts are free and open to the public, in Donations are appreciated. Enter Campus from Silas Creek Parkway, where it intersects Reynolda Rd. Enter Campus from Polo Rd. The Foundation manages the Festival as planned and organized by the Unity Brass Festival Committee. Musicians from all over the world are coming to UBF in 2018! New music for new audiences, played with new friends, for the glory of God. This Festival will use the basic model of the Bläsertag, i.e, all ages learn, rehearse and play together during the 4-day event. The Unity Brass Festival invites musicians of all levels, from beginner to director (Moravian and non-Moravian). All are invited to come and be a part of this exciting week of musical growth, spiritual nourishment, and joy-filled fellowship, in an historic and beautiful Moravian settlement in North Carolina, United States of America. And in 2018, Moravians in Winston-Salem host the 3rd International Brass Festival of the Worldwide Moravian Unity. Bläsertag 2019 will be Pentecost (Pfingsten) weekend in Neuwied, Deutschland (Germany). 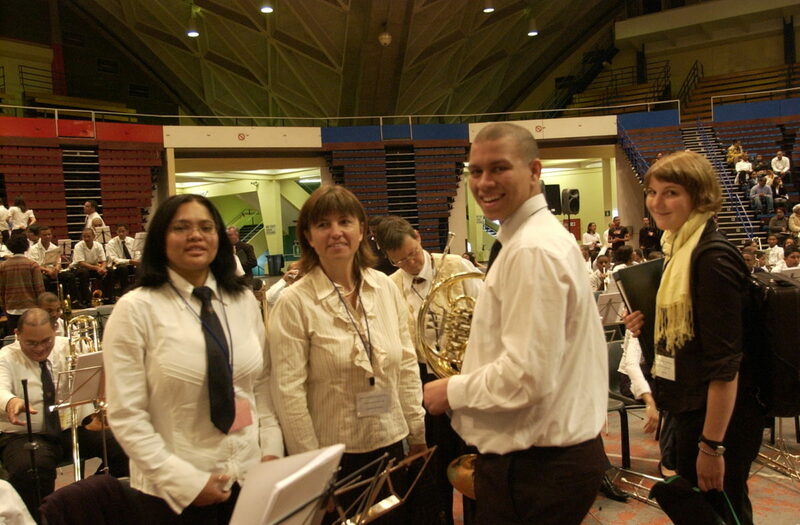 This is the biannual brass day (3 days) of the Moravian Church European Continental Province. All are welcome, and there are many European Moravians who speak English, so don’t let that deter you! It is a blast! … so to speak. Be a part of this exciting week of musical growth, spiritual nourishment, and joy-filled fellowship, in the historic and beautiful Moravian settlement of Wachovia (begun in 1753) (including the first settlements of Bethabara, Bethania, Salem, Hope, Friedland, Friedberg and many other congregations) in North Carolina, United States of America. 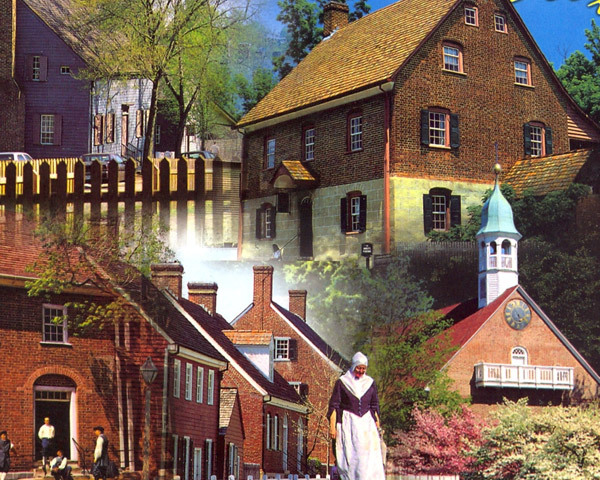 ∇ Old Salem Museum & Gardens – living history of the main settlement congregation in the Wachovia tract of North Carolina, started by the Moravians in 1766. Visitor Center; guided or self-guided. Many buildings and homes are open for interpretation, Tuesday – Sunday; ticketed. ∇ Bethabara Park – Bethabara is the first and oldest settlement congregation in the Wachovia tract, started by the Moravians in 1753. Visitor Center; Self-guided walking tour. Structures (including the restored 1788 Gemeinhaus) and gardens are open, Tuesday – Sunday; ticketed. ∇ Town of Bethania – Bethania is the second settlement and the first planned town in the Wachovia tract. Bethania was established in 1759 as a self-sufficient farming community which allowed both Moravian and non-Moravian settlers. Tuesday – Saturday; 10am – 4pm. Visitor Center; Self-guided walking tour. Now more than 250 years later, historic Bethania is the only example of a European style “open field” agricultural village remaining in North Carolina. ∇ Home Moravian Church Interpretation is a gesture of hospitality. The sanctuary is open from 1:30 – 3:30 p.m., Tuesday-Sunday from March through mid-December. Home Church members welcome visitors into our place of worship and speak informally about the Moravian Church past and present while describing architectural features of the building. It is also an opportunity to share the customs, practices, and ministries of our church. Many of the visitors are persons touring Old Salem.